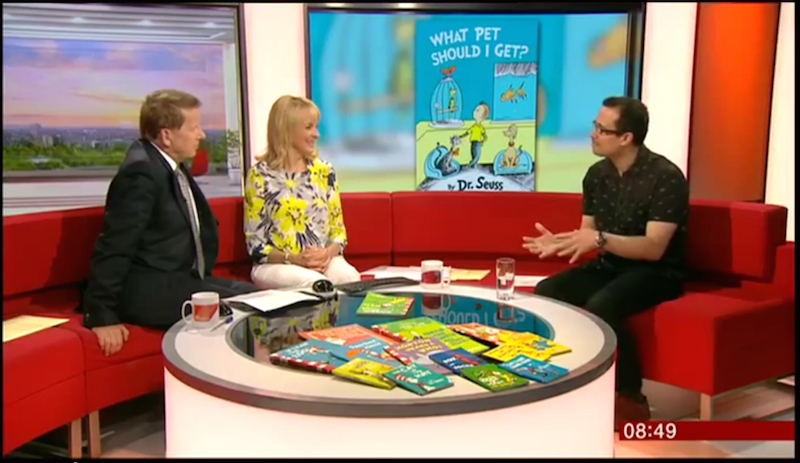 BBC Breakfast: Speaking about Dr. Seuss, on his birthday (full video below). In 2013, a nearly complete manuscript by the famous American children’s poet, who died in 1991, was found by his wife, tucked neatly in a box and hidden away in his home. It was a book called What Pet Should I Get? 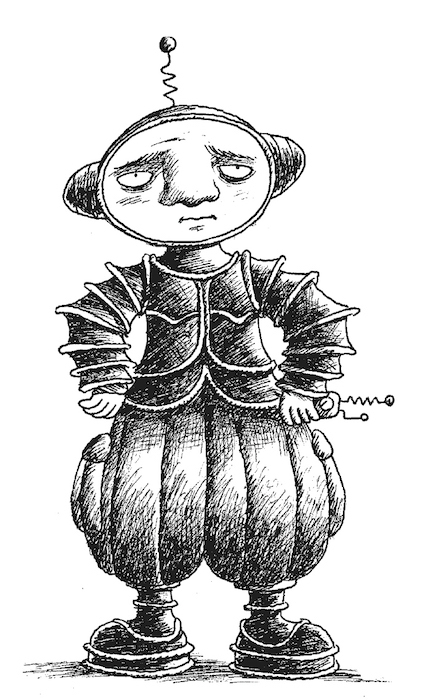 and starred the same boy and girl from his most famous work for early readers, One Fish, Two Fish, Red Fish, Blue Fish. Flash forward two years to yesterday and the book was at last hitting bookshelves across North America. BBC Breakfast, BBC One’s morning chat show, were looking for someone to talk about the good Dr.’s new offering. The producers heard that I was a fan and aficionado (of course I am!) and that my own work was partly inspired by Seuss-ian verse (of course it is! ), so they gave me a call. “Would you mind appearing on the show at 8:40AM?” the producer asked me. “Are you serious? Is this a joke? No? In that case, I’d love to!” I gushed, or something to that effect. I had woken up to 5 Live Breakfast on my alarm clock that very morning. Now I was going to be on it. This conversation was taking place in the early evening of Monday, the day before. I had no choice but to dash off to Euston, hop on a train, and arrive at a hotel in BBC MediaCity just in time to go to sleep. Only I didn’t. I was too nervous. There had been one more question. Gulp. Poetry? My poetry? Smack in the middle of Britain’s flagship morning show? It was my duty as a professional scribbler to rise to the challenge! I knew that the best readings are the ones you perform by heart, so if this was going to work, it would have to be a reading from memory. As it was such short notice, I decided to adapt the opening lines of Zorgamazoo to include BBC Breakfast and—hey, presto—a personalised poem for the lovely hosts, Bill Turnbull and Louise Minchin. Finally, many thanks to BBC Breakfast, 5 Live, the show’s respective producers—Natasha, Jillian, Phoebe—and the Manchester Children’s Literature Festival for making this happen. Thank you!